Most of us have old documents and papers we no longer need sitting around in desk drawers or filing cabinets. If you’re paring down the stuff in your living space in preparation for a move or to “opti-size” and simplify your home environment, you’ll want to get rid of any papers that are just taking up space. It’s important to discard old documents in the right way, however, especially if they contain any sensitive personal information. Just tossing them in the garbage could put you at risk for identity theft (not to mention it’s not environmentally friendly). Here are some key facts everyone should know about proper paper disposal. 1. Shredding documents with personal info will help you stop thieves from stealing your identity. In 2017, 16.7 million U.S. consumers became victims of identity fraud, according to the 2018 Identity Fraud Study released by Javelin Strategy & Research. One way that thieves can impersonate you is by rifling through your trash to find documents like medical records, bank statements, and anything else that contains personal information. To avoid becoming a victim of identity theft, you should shred any sensitive documents before recycling them. If you have a shredder at home, you can take care of this on your own. Just be sure to follow the instructions for the shredder to ensure your safety and check with your city for any guidelines for recycling shredded paper, according to Earth911. Many local recycling programs only take shredded paper placed in specific containers, such as plastic bags. If you don’t own a shredder, you can look for commercial shredding companies to work with, or you can search for local shredding events. For example, the Evanston Farmers’ Market hosts free community shredding events with First Bank & Trust. 2. However, it’s not a good idea to shred papers that don’t contain sensitive information. 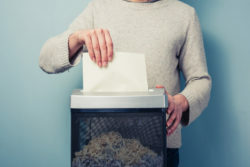 You might be tempted to simply shred all the papers you plan to recycle instead of separating the ones that contain personal data and those that don’t. However, this ultimately isn’t a good idea. Shredding shortens the paper’s fibers, which makes them less suitable for use in recycled items, according to the American Forest & Paper Association. The process is easiest if you just put papers without personal information on them directly into your recycling bin. 3. Each ton of paper that gets recycled conserves upwards of 3.3 cubic yards of landfill space, so avoid throwing papers in the garbage. It might take more effort, but recycling paper rather than treating it like trash is better for the environment and can make a big difference, according to the AFPA. 4. You can make your own recycled paper at home. If you’re up to the task, you don’t even have to leave your home to turn old documents into new paper. With water, a blender, an old picture frame, a screen, and a sponge, you can create your own unique recycled paper. See the Earth911 website for step-by-step instructions. If you’d like to learn more about how to properly dispose of paper (or paint and other household materials), contact our team of Evanston senior move managers. We help seniors, retirees, and families with the transition to new home environments and/or lifestyles. 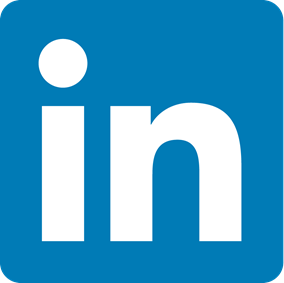 Get in touch with us today by calling 847-769-2412 or emailing drina@dwelling-sp.com. Thanks for pointing out that shredding documents that have sensitive information is a must to keep you from being a victim of identity theft. I will definitely get my papers shredded especially that I have made lots of copies of different personal documents that I use for applying to a job. Now, I just have to find a company that I can trust.